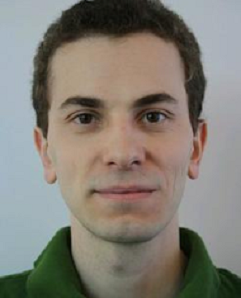 Timothy is a graduate from MIT in mathematics, and a current PhD student at Carnegie Mellon University with a focus on theoretical computer science and theoretical neuroscience. Timothy spent a year working on Google Search and has spent some time looking into the startup scene in foreign countries. He is a former alternate for the International Math Olympiad Team from the U.S., and has worked with IMO teams in the USA and Ghana. Luke graduated from Duke University with a degree in Political Science and a love of learning. He has worked as an economic policy researcher in Durham, North Carolina, and a Fulbright English Teaching Assistant in Madrid, Spain. Luke recently joined the Center for Applied Rationality as an instructor, where he splits his time between exploring methods of introspection and running operations for events and workshops. Mihaly was a software engineer at Google and a former perfect scorer on the International Mathematical Olympiad. He holds an M.Sc. in Mathematics from Eotvos University, Hungary. Mihaly is interested in functional languages, formal proof systems, and rock climbing. He aims to become a full-time AI alignment researcher. Damon Sasi is a licensed Marriage and Family Therapist in Florida, where he works as a Youth and Family therapist by day and writes Pokemon rational fiction by night. He's a strong believer in both the power of stories as a catalyst for growth, and the power of rationality to improve therapeutic practices, and is working to combine all three in as many ways as possible. Elizabeth is an aspiring dicentenarian, former unschooler, and the current chief of the largest house of Effective Altruists and Rationalists in the world. She’s worked as a preschool teacher in Spain, market researcher for a biotech startup, and coworking community manager. She developed an interdisciplinary degree at the University of Virginia on the subject of Human Sexuality. She currently works at the Center for Applied Rationality. Formerly at Stanford, Tina left because (1) it was a suboptimal place to heal from trauma and (2) it was a suboptimal place to learn the Actually Important Things. She’s been thinking about how her brain works, how she relates with herself and others, how she can integrate intuition more, and how to wield fake frameworks. She finds circling, focusing, and meditation yummy. In a past life, she did some bioengineering, and holds a patent for the first monoclonal antibodies to MERS-CoV. Anne has previously worked in operations at the Effective Altruism Foundation and is now building her rationality skills by coaching aspiring effective altruists and rationalists. In her free time, she runs connection-focused community events in Berlin and helps organise a research camp aimed at producing AI safety research. After completing a degree in recreation management, Graeme spent his early career working in outdoor education. He has worked for a British research and publishing company, and for a French internet company. He has also founded a successful London-based property refurbishment company, and co-founded an award-winning outdoor events business. Graeme joins ESPR after attending a skill-building event run in San Francisco by the Centre for Effective Altruism. Florent is a social entrepreneur who cofounded Effective Altruism France. He also founded and is the director of a Sudbury school in Lyon. On the side, he teaches entrepreneurship at an engineering school. His current plans include helping the effective altruism community by identifying its main bottlenecks, finding the most promising solutions, and enabling them. Jaime is a student of Mathematics and Computer Science at the Universidad Complutense de Madrid. He leads a college-level math educational initiative called Dedekind's Army. He has also run several workshops, conferences and activities related to Artificial Intelligence, math and rationality. Jaime placed top 10 in the 2016 Iberoamerican College Math Olympiad and has also won several hackathons and programming contests. Reka is a ESPR 2017 alumnus from Hungary. She is studying Biological Sciences at Imperial College London, majoring in Genetics. She is interested in philosophy and psychology. She also loves photography, hiking, and music. She likes to engage in deep conversations with more and more people because she believes that to get to know the world you need to get to know the own worlds of as many people as possible. Stag is a youth filled with enthusiasm for late-night conversations and a desire to map the human mind for practical purposes rather than deeper understanding. He is an ESPR 2016 alumnus and ESPR 2017 staff. Nuño Sempere is a Spanish maths student and a colorful character who doesn't mind hiding behind the third person. He is interested in concrete examples and holds tests and examinations in great contempt. He's an ESPR 2016 alumnus and 2017 staff, and would like to emphasize the part of rationality in which you win at things. When he's confused, he notices. He enjoys winning bets against people too confident in their beliefs. Stan finds it hard to accurately describe his interests but, if pressed, he would say he is interested in finding and diving into things that *really* matter for him and the world. Stan has a background in Competitive Programming - amongst other achievements, he won a silver medal at the Baltic Olympiad in Informatics. He likes to resolve disagreements through quantified bets. He is happy to have participated in ESPR 2017. Gabor finds it hard to accept that Renaissance men are supposed to live in the Renaissance. His interests mostly lie in politics, economics, classical music and glacier hydrodinamics. He studies at the University of Cambridge. Tyler is an undergraduate at UC Berkeley studying mathematics and computer science, two of his deep interests. He loves to discuss human behavior and psychology, but music and basketball are fair game too. Tyler is an ESPR 2017 alumnus. Owen is an ESPR 2016 alumnus and was an ESPR 2017 counselor. He studies computer science at UC San Diego. Much of the time, Owen muses about minds, magic, and meta-levels. He writes about rationality on mindlevelup. Galit is an avid reader, traveller, and baker. Her background is mostly in math and physics. She looks forward to exploring and debating unified theories of minds, machines, and the universe. She is a SPARC 2017 alumnus.